In the last few days the British media has been awash with stories about the investigation ordered by the prime minister David Cameron (also leader of the Tory party) into Tory co-chair Lady Warsi’s undeclared business interests. After Warsi made expense claims for staying at a friend’s property (he has claimed she stayed rent-free), Scotland Yard (British police in London) was asked to investigate. It referred the matter back to the Lords Commissioner for Standards, who yesterday started a formal enquiry. Cameron has also called in Sir Alex Allan, his independent adviser on ministerial interests to find out whether Warsi has breached the ministerial code when she was accompanied by a business partner on an official visit to Pakistan, saying there were ‘clearly some lessons for future handling’. In the UK, skulduggery practiced by people in public life is hardly news, but what is shocking is the double standards behind Cameron’s treatment of Warsi in comparison to his support for culture minister Jeremy Hunt, over claims of his non-partisan dealings with News Corporation during its bid for BSkyB. It’s a fact that has not escaped the media. It has been reported that the PM bowed to pressure from critics on the far right and cabinet members, who have long waged a campaign to be rid of Warsi. The same people who support Hunt. So what’s their problem with Warsi? According to James Macintyre in the Guardian, there are two factors: race and the ideology. I’d put it more bluntly. Warsi is a straight-talking Muslim woman raised in the north of England by immigrant parents, unfamiliar with the public school etiquette beloved of Cameron and his cronies. Cameron gained a false reputation as a moderniser for his support of homosexual marriage but at grassroots level he continues to fail ethnic minorities. At recent local elections in Birmingham an ethnically diverse city, his party fielded white councillors and lost seats as a result. In the Commons there are only 11 non-white Tory MPs. It’s a problem unresolved by party strategists. Perhaps they should also examine a statement made on the influential ConservativeHome website by the Margaret Thatcher Centre for Freedom saying that Warsi’s presence at the top of the party ranks sent ‘the wrong signal at a time when Britain is fighting a global war against Islamic terrorism and extremism’. Neoconservative (and currently education minister) Michael Gove, one of Warsi’s leading internal critics, fought against her plan for a cross-government working group to tackle anti-Muslim racism. Perhaps the battle between the neo-con wing of the cabinet on the one hand, and Warsi on the other, explains Cameron’s confused stance on Islam and Islamic extremism. Warsi’s competence has also come under fire, despite the fact that she has proved a more effective co-chairman than Andrew Feldman, who shares her job and who some want to take over the full role. Feldman appointed Peter Cruddas, who has committed a number of whoppers including attempts to raise cash for access to the prime minister that led to huge embarrassment. Yet he was promoted. Why? He is an old university friend and tennis partner of Cameron’s and in ‘the gang’. The double standards charge could be laid here, too, not to mention on Cameron’s relaxed approach to cabinet ministers whose expenses sins have been much worse than Warsi’s. But the real hypocrisy is over Hunt. 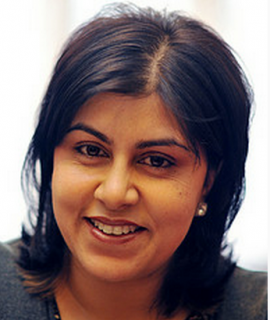 As the on-message culture secretary remains in post, off-message Warsi appears to be thrown to the wolves. That so many Tories are content with that says much about the ideology of the Conservative party.